Holly Greatrex is a Certified Fund Raising Executive (CFRE) and a Senior Development Officer in the Department of University Advancement at Carleton University. Holly has over 13 years of fundraising and professional experience at Carleton and is a member of the Canadian Association of Gift Planners (CAGP) and the Association of Fund Raising Professionals (AFP). Holly helps develop and manage the Planned Giving Department’s marketing and fundraising plans including the design and delivery of the Carleton University Giving Insight newsletter, surveys and other lead generating marketing efforts and tools. As Director of Advancement Strategy & Brand, Ryan Davies's task is to advance the cause of Carleton University. He provides strategic communications counsel to colleagues in fundraising and alumni relations, and leads communications and marketing initiatives that spread the word and engage others in the cause of higher education. He came to Carleton in 2003 after six years in public utilities and corporate communications in Western Canada. He has an honors degree in English from the University of Alberta, plus a public relations diploma from Edmonton’s Grant MacEwan University. This session is a Webinar Viewing. Bring your own lunch, listen to a professional gift planner or advisor share their expertise through a live webinar, and network with your colleagues for only $10. 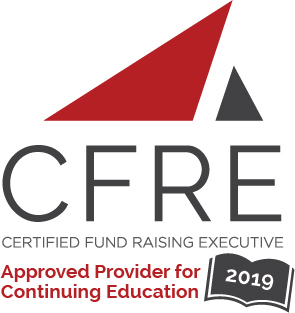 CAGP Waterloo-Wellington is a CFRE Continuing Education Approved Provider. Full participation in a Lunch & Learn or Webinar Viewing is applicable for 1 credit in Category 1.B – Education of the CFRE International application for initial certification and/or recertification.